The government of various countries offer financial incentives to consumers for purchasing plug-in electric and green vehicles to promote the use of energy-efficient vehicles and low carbon emission vehicles. In January 2013, the Indian Government provided subsidies upto $2,209.6 for plug-in cars and $736.5 for two wheelers. Therefore, the sale of electric vehicles in India is expected to reach 7 million by 2020. The Japanese Government passed the Green Vehicle Promotion Measure program to establish tax deductions and exemptions for using eco-friendly, fuel-efficient vehicles in the region. Moreover, European countries, such as Austria, have exempted plug-in vehicles from fuel consumption tax. In addition, the French government offer incentives for electric cars owners of up to $6,300 depending on the emission levels of the car since Nov 2013. Therefore, government funding initiatives for electric cars drive the global electric motor market. 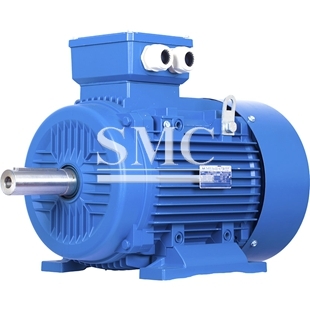 According to a new report by Allied Market Research, titled, Electric Motor Market, by Motor Type, Output Power, Voltage Range, Applications, Speed (RPM) and Geography: Global Opportunity and Forecast, 2014–2022, the electric motor market generated $ 91.40 billion in 2015 and is expected to reach $117.28 billion by 2022, registering a CAGR of 3.7% from 2016 to 2022. Furthermore, based on units, the global electric motor market is expected to reach 853 million units by 2022, growing at a CAGR of 4.2% from 2016 to 2022.